In terms of Punjabi nationality, the literature produced by Punjabis is a multi-linguistic phenomenon; be it in Punjabi, English or any other language. Some of these writers may not identify themselves as Punjabis and this sensibility may be only reflected in their writings. When Gujranwala born, British Pakistani novelist Nadeem Aslam quotes couplets of a rather unknown rural Punjabi Poet Abid Tamimi in his novel Maps for lost lovers (2004), he is subconsciously establishing his native connectivity. He furthers this theme in his latest novel The Blind Man’s Garden (2013) by creating a whole fictional town named Heer (inspired by Waris Shah’s legend) and proudly claims that all his future novels will be set in this Punjabi town. Mulk Raj Anand (1905-2004) was our first global offering. Recipient of the prestigious Lenin Peace Prize, he was co-founder of the Progressive Writers’ Movement in the undivided India. He was born in Peshawar to a Sikh mother from Sialkot and a Hindu father from Amritsar. He studied philosophy at Cambridge University where he had gone on the behest of Allama Iqbal and received his PhD from University College London in 1929. He was close friends with George Orwell, TS Eliot, Virginia Woolf, Aldous Huxley, Herbert Read and EM Forster. His best-known novel Untouchable (1935) was issued as a Penguin Modern Classic in 1986. Any writer is free to write in any foreign language for global reach, acceptability and other related gains. However, it’s also true that in that global space they generally remain ‘categorised’ and ‘compartmentalised’ while their original place always remains vacant in the literary countryside of their mother tongues. It will also be pertinent to mention that no linguistic movement should encourage racists, bigots and chauvinists as there is nothing more sacred than humanity. We strongly believe that within one mother tongue are all mother tongues and each one of them is universal. Our main concern is not those other languages but the contagious ‘self-hate’ virus inherited by most of the ‘well educated’ Punjabis and its bankrupt elite that has consistently demeaned the linguistic uprising and their own cultural identity. Punjabi poetics is unique in adopting the feminine metaphor. From our classics to contemporary poets, the most intimate and challenging verses resonate in this naturalised voice. 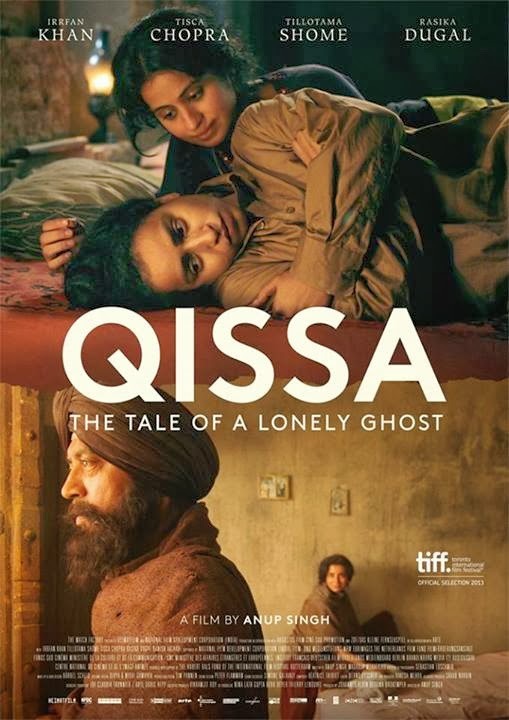 Female protagonists of our Qissa (epics) poets from Damodar Das to Ghulam Haider Mastana are not only self-assuring and assertive but are full of defiance against male authority and a martialised society. Najm Hosain Syed summed up this power of choice and rejection assumed by women in a striking one liner: “She stands outsides the cycles of time and society”. Punjab owes all the beauties and colours of its folklore exclusively to its womenfolk. This was the art that kept us enriched and sustained us through centuries of compressions, invasions and annexations. Those nameless women poets of the Punjab narrated our collective consciousness and protected our native identity. CHANDIGARH: Films and books on Sikh religion may soon have to pass the test of the Shiromani Gurudwara Prabhandak Committee (SGPC), which is planning to set up a ‘censor board’ for “moral policing” of the scripts. The move comes against the backdrop of the controversy surrounding Dera Sacha Sauda chief’s movie ‘MSG’ and many Bollywood movies in which actors have donned the turban like Ajay Devgn starrer ‘Son of Sardar’ and Akshay Kumar starrer ‘Singh is King’. “We will soon set up Sikh Censor Board comprising historians and intelligentsia so that someone keen to make any film or write a book concerning Sikh religion first gets the script cleared to avoid consequences later,” Amritsar-based SGPC head Avtar Singh Makkar told this agency. Terming it as “moral policing” on part of SGPC, Makkar said the board members will clear the script of films or books based on Sikh religion and community members. “Our idea is that Sikh religion is projected and exhibited in public domain in consonance with the spirit of code of conduct of the community,” he said. Below is an excerpt outlining the paper. The full text can be found here, pol1-13 Ronki Ram. Given the heterogeneous nature of the Punjabi diaspora, one size fits all policies will not do, it has to be multi-pronged. Diasporas can make a contribution in terms of fostering entrepreneurship and innovation, enable technology and knowledge transfer, as well as transferring other intangible assets, says Prof. Shinder S. Thandi of Coventry University in an interview with Dr. Sadananda Sahoo, Editor, Roots and Routes. It was many summers ago. I was visiting my village on the banks of the Jhelum. I saw the people of my village go towards the Eidgah, across the chappaD, or the pond. When I asked my grandfather about them, he said. “Ajj mela ay putter!” [Son, today is a fair!] The mela ground was bustling with makeshift shops and people thronging them. At one end of the mela a circus had come up. The mithai stalls were packed with customers and curious on-lookers, some of them were buying and eating. And that’s when I heard the sound of their music. There they were, surrounded by a circle of spectators. A couple of local artists sang a song I had not heard before. I couldn’t understand a word, other than ‘O mereya Jugni, O mereya Jugni’ – which they chorused, over and over again. That was my introduction to Jugni. I had no idea who Jugni was, and for I long time I didn’t care. Jugni returned to my life years later, making an entry in a different way. On a satellite TV channel, in a dimly lit studio, equipped heavily with musical instruments and a pungent smell of glamour. Arif Lohar was singing Jugni for Coke Studio and giving him company was Meesha Shafi! This time, I wanted to know Jugni. Was it a character from a story? A glow-worm? Or something else? ‘Jugni’ is a Punjabi folk song, popular not only in the Punjab but also among the regional languages of Rajputana, Sindh and Hyderabad . But Jugni has also been said to be a kind of jewel, an attractive ornament worn around the neck, a little like the ‘taweetri’. Worn alike by men and women, Jugni the ornament is usually made of gold or silver. The wooden jugni is also used as decorative jewellery for cows and buffaloes. This cow-Jugni is known as ‘gaani’. Along with other neck jewellery like necklaces, lockets, maalas, gaani, taweet or tweetri, Jugni is a hot favorite item of fashion among rural girls and boys. Alys George was born a century ago this month. She was better known as Alys Faiz – she married the renowned Pakistani poet, journalist and activist, Faiz Ahmed Faiz. I met and interviewed her twice at her home in Lahore in the 1990s – and I am posting the audio of those interviews on this blog with the blessing of her daughter, the artist Salima Hashmi. Alys was the daughter of a bookseller in the London district of Walthamstow. In the 1930s in London, she became politically active eventually joining the Communist Party, and got to know Indian nationalists and leftists in London. In 1939, she travelled to Amritsar to visit her sister Christobel, who married Dr M.D. Taseer, a noted Marxist thinker and educationalist. Two years later, Alys and Faiz married at Pari Mahal in Srinagar – with the nikah conducted by Sheikh Abdullah. When I interviewed her in Lahore in October 1995, Alys reminisced at length about becoming involved in the British Communist movement (‘I wanted to go to Spain but my parents said no’), getting to know Indian activists, coming out to Punjab and spending time in Kashmir. She recalled the tragic, cathartic violence which accompanied Partition, and spoke of her husband’s ranguished poetic reflection on the manner in which India and Pakistan gained independence, ‘Freedom’s Dawn’. The daughter of Faiz Ahmed Faiz, the Subcontinent’s iconic bard, discovers letters exchanged by her mother and father. Since being Faiz Ahmed Faiz’s daughter has given me privileged access to the family archives, I have become an accidental archivist. In 2009 I embarked upon the Faiz Ghar project to set up a small museum in a house leased to us by a friend and admirer of my father. We commenced sorting through Faiz’s belongings, papers and books. It was not a massive collection by any means, owing to his nomadic, rather Spartan, but interesting life, that began on 13 February 1911 and ended on 20 November 1984. My mother Alys was instrumental in saving and sorting what little there was: a smart grey lounge suit, a cap, his scarf, his pen, and a reasonably large cache of letters, certificates and medals. After my mother’s death in 2003 all these things had been packed away in cartons in my house, waiting for just the sort of opportunity that the Faiz Ghar project afforded. Sifting through the papers, I came across a plastic bag containing some scraps. On closer look, I deciphered Faiz’s writing, and the unmistakable stamp of the censor from the Hyderabad Jail, where Faiz spent part of his imprisonment between 1951 and 1955 for his role in the Rawalpindi Conspiracy – a Soviet-backed coup attempt against Prime Minister Liaquat Ali Khan. These few letters were in poor shape, but readable. It is surprising that they have survived at all. Alys and Faiz had moved to Beirut in 1978. On return, all seemed to be in order in the house – except the cupboard, which had been attacked by termites. That cupboard contained Faiz’s letters from jail, which were later preserved with the help of Asma Ibrahim, transcribed by Kyla Pasha, and published in 2011 under the title Two Loves. This paper was written by Dr. Nasir Rana who teaches Punjabi at the Government M.A.O. College, Lahore. 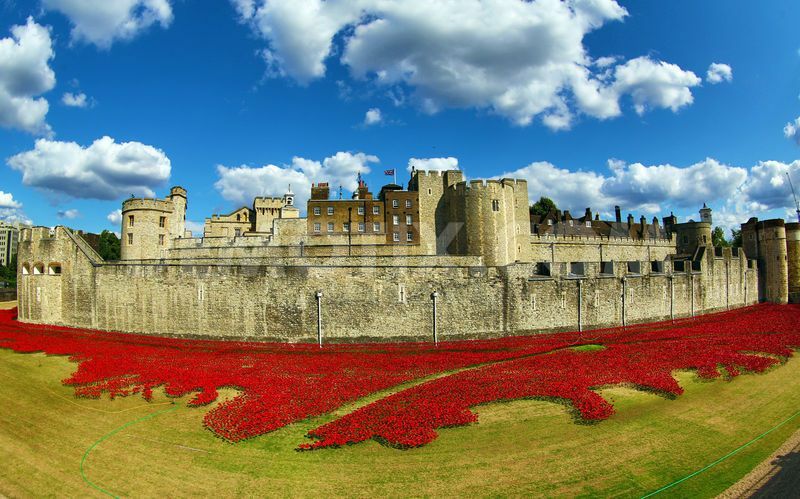 The art installation, called ‘Blood Swept Lands and Seas of Red’, features 888,246 ceramic poppies – one for every British and Commonwealth soldier who died during the conflict. The Hindu published ‘A European war, fought by India by Shashank Joshi. If World War I resonates in such a weak, confused, and even negative way with Europeans, it is little wonder that young Africans or Indians see even smaller stakes in this year’s centenary ceremonies. This is why it is crucial to understand the war’s global scope and the role played by the British Empire and Commonwealth. An account of the Punjabi soldiers who became the cannon fodder of the colonising power in World War I, and the mournful songs and literature this episode in history generated in its wake. The exhibition will be held at the Brunei Gallery at the School of Oriental & African Studies’ (SOAS), Russell Square, from 9 July to 28 September, and is the launch event of a three year project to reveal the untold story of how one of the world’s smallest communities played a disproportionately large role in the ‘war to end all wars’. To commemorate the centenary of India’s service in the First World War, the British historian David Omissi collected the letters of Indian soldiers away from home in Indian Voices of the Great War, published this year by Penguin. These eloquent letters offer a poignant glimpse into the lives of these Indian soldiers, whom history forgot. Article appeared in The Sikh Review, Kolkata, February, 2014 issue. This was also the period when Sikhs started to migrate to Burma; a country now renamed ‘Myanmar’. The Sikh migration to Burma was an important component of global Sikh migration and remained a popular destination for about six decades. Many Sikhs have their relatives and friends who still talk about the Burma days even if they have returned permanently since long back. A visit was very tempting especially as my wife’s mother was born and grew up in that country. Whenever my mother-in-law and her sisters had some confidences to share they would shift to speaking Burmese even after their return three decades ago.